The Wonderful Angelica Towne is Educate!’s new Country Director! — Educate! | Preparing youth in Africa with the skills to succeed in today’s economy. 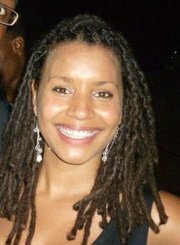 The Wonderful Angelica Towne is Educate!’s new Country Director! We are very excited to officially announce that Miss Angelica Towne will be Educate!’s Country Director. After thoughtful analysis of the progress of the organization over the last year, we decided that given the tremendous resolve, achievement and leadership that Angelica has shown in the face of adversity, she undoubtedly has the qualifications and commitment to Educate!’s mission to lead Educate! into the future. Angelica has exhibited tremendous drive and achievement in line with Educate!’s values and culture. She has taken the programmatic and operational aspects of the organization forward in a big way. Through all of this, her relentless pursuit of results, selflessness for the mission of the organization, commitment to not just her own but her team’s growth and development, undying drive to innovate, and clear and constant focus on making Educate! the most cost effective way to create a changemaker are admirable and truly a model for all of us.